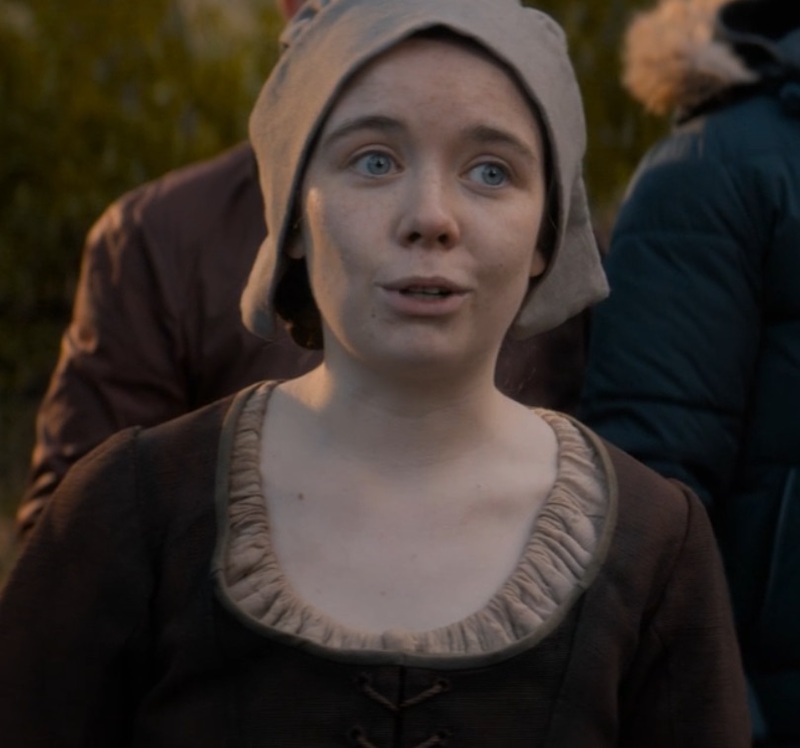 With The Witchfinders, Doctor Who season 11 continues its streak of pseudo-historical stories. The Pendle Witch Trials were an actual event in history, that have tied Pendle Hill to witchcraft so much that there is a local tourism industry playing up the connection. However, while Doctor Who got the history wrong it was nice for the ending to reaffirm the right of &apos;healers&apos; to pursue their craft. Apparently the TARDIS crew had been promised the Coronation of Queen Elizabeth I. Maybe The Doctor had bragged about marrying Elizabeth, and they wanted proof. That would be an interesting scene to see The Doctor as a woman meeting with Queen Elizabeth I and claiming to be married to the Queen. But alas the TARDIS had other ideas, and instead they landed a few years later (1612) at Pendle Hill in Lancashire. They&apos;re quickly thrown into a series of events concerning witch trials, with the Doctor being accused of being a Witch, and some other stuff, ending with the discovery of some extraterrestrials who&apos;d been imprisoned in the hill. It&apos;s a rollicking good story and while there was never a feeling of danger (just as in Fake Amazon in Kerblam! asks &apos;Is this Fake Dr. Who?&apos; - Kerblam! review, Doctor Who Season 11), it was a fun story. The part which got me directly came at the end, when the young lady declared her next step was continuing her grandmother&apos;s work and to work as a Healer. Many of us in modern time who are Healers have past life memories of being a village herbalist and getting into trouble with the authorities. Therefore inside myself watching the dramatization on TV, and seeing it end with someone proclaiming themselves to be a Healer, reached deep inside. But then I turned to Wikipedia to read the history, and learned the actual events were not as depicted in the Doctor Who episode. According to Wikipedia, Pendle Hill is in a remote part of England and is a "standalone hill" (meaning it&apos;s not part of a range of hills) in Lancashire. There are several small villages in the area. Besides the Pendle Witch Trials, the hill is also famous for Richard Townley&apos;s barometer experiments, and later the vision received by George Fox who founded the Quakers. In The Witchfinders we are shown a Witch Trial in the form of someone being tied to a large tree branch, then dunked into the lake. If the person drowned they were not a witch, if they did not drown they were a witch, and would therefore be hanged as a witch. That&apos;s an unfortunate construct since in either case the person is dead. Turns out this is not how Witch Trials were conducted at that time. According to Wikipedia the Pendle Witch Trials in 1612 are the best documented, and therefore should instruct us on how Witch Trials were conducted. The documentation, as such, is a book, The Wonderfull Discoverie of Witches in the Countie of Lancaster, by Thomas Potts, the clerk to the Lancaster Assizes. Mr. Potts apparently did not know how to be an objective Court Reporter, and instead wrote a book that pleased the Judges. Therefore we should not expect complete accuracy in the book, but still the information will be useful to study. First is that "Witches" were commonplace in village life in rural England at that time. But, in this case "Witches" are not like the popular modern concept of Witches: old hags casting evil spells. Instead they were "village healers" who practiced herbalism and "magic" (very likely what is called "energy healing" or "spiritual healing" today). What&apos;s so dangerous about someone who is helping their neighbors? How did England get into the business of tracking down Witches? When the aforementioned Queen Elizabeth I was crowned, an early action she took was a law An Act Against Conjurations, Enchantments and Witchcrafts. This law demanded the Death Penalty against any who "use, practise, or exercise any Witchcraft, Enchantment, Charm, or Sorcery, whereby any person shall happen to be killed or destroyed". Yeah, it&apos;s fair to punish anyone who harms another irregardless of the means by which they harmed or killed others. While the idea is sound, the practice was not since they often used faulty or fabricated evidence. King James I (shown in the episode) succeeded Queen Elizabeth I. He is described as being interested in Protestant theology, and especially interested in the theology of Witchcraft. 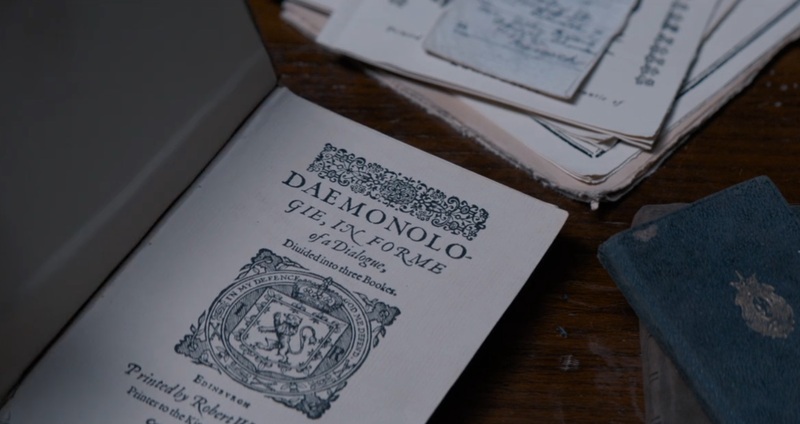 He wrote a book titled Daemonologie, In Forme of a Dialogue, Divided into three Books: By the High and Mighty Prince, James &c. which we see briefly in the episode. The book denounced witchcraft and demanded prosecution of practitioners. King James enacted his own law demanding the death penalty "in cases where it was proven that harm had been caused through the use of magic, or corpses had been exhumed for magical purposes." King James apparently held some skepticism of the evidence presented in witch trials and even exposed discrepancies. The 1612 Pendle Hill witch trials began early in the year when the local Justice of the Peace made a list of recusants, that is those who did not attend church. Refusing to attend Church of England services and take communion was a criminal offense at the time. During the process of seeking out religious nonconformists, accusations were leveled of witchcraft that then led to two families accusing each other of witchcraft. There were twelve people accused of witchcraft during the period of the trials. Twelve, not the 36 mentioned in the episode. Instead of being tried one at a time, they were tried in two large groups. One died before being brought to trial, ten were tried in Lancaster, and one was tried in York. Of this group, 9 were found guilty and then hanged, the remaining was found not guilty. One of the accused was facing her third trial as a witch. In other words - the "Trial" mechanism used in the episode, dunking the supposed witch in the lake, was not actually used. Instead there was a full trial process, with statements taken before the trial (what we now call Depositions), and during the trial interrogation of witnesses and presenting of other evidence. We can&apos;t pretend the process was as well conducted as are modern trials, but it was clearly not a summary judgement based on "dunk her in the pond to see if she drowns". And while we&apos;re at this -- another falsehood presented in The Witchfinders is that Witches are always Women. At one point The Doctor exclaims about how difficult it is to be a woman, if you&apos;re not being accused of being a witch you&apos;re condescended to death. However, among those accused during the actual Pendle Witch Trials were several men. In other words - the title of Witch is not exclusive to Women. Having King James in the story is simply not accurate. While he was strongly in support of hunting down witches, he did not personally attend the Pendle Hill Witch Trials. Having mentioned King James, he briefly mentions his earlier Witchfinder General who had saved his life in Berwick. This is a reference to the North Berwick Witch Trials which derived out of trouble King James had while returning from Denmark. He had gone to Denmark for marriage, but on the way home the ships encountered rough weather which was blamed on sorcery among the Danish who did not like seeing the King of England marrying one of their own. That witchery caused King James to conduct his own witch trials. Those trials lasted for two years and implicated 70+ people. As with the Pendle Hill Witch Trials - many of the accused were men. Being a Witch is not exclusive to Women. King James gives the BBC an "out"
The original purpose statement for Doctor Who back in 1963 included using the TARDIS as a device to travel in time to show kids historical events. That could be educational -- only if the historical events are presented accurately. In any case this purpose of exploring historical events got lost over the years as the show came to focus more on fighting Daleks or Cybermen. Perhaps Chibnall as Doctor Who show-runner is seeking to reawaken using Doctor Who to educate children? In any case we&apos;ve now seen 3 pseudo-historical stories in Doctor Who. We cannot call The Witchfinders a historical episode because of the many differences between the actual Pendle Hill Witch Trials and what we saw in The Witchfinders. What we can do is call it a pseudo-historical. In any case, in the episode we see King James promising to erase the events shown in the episode from history. Since King James said he&apos;d ensure the events were erased from history, this could have actually happened but not be known because it&apos;s not part of the historical record. At the end of the episode, during the warm fuzzies after the main climax of the story, the character Willa Twiston declared her intent to use her grannie&apos;s potions and to Be A Healer... Be a Doctor. Nowadays making such a declaration requires courage and conviction because the Medical Industry is so firmly in control over helping folks with their health issues. The Medical Industry has convinced lots of folks that Medicine is the only way to get well, and enshrined in the law are requirements that make it difficult for any non-Doctor person to practice anything that purports to help folks get well. We aren&apos;t allowed to use words like "Heal" or "Cure" or to to "Diagnose" or "Prescribe" unless we have an M.D. certificate, even though there are many available practices that do not require medical doctor training. In that day and age, to Be a Healer meant running the risk of being accused of being a witch.